Ministry of Sound launches range of headphones | What Hi-Fi? Ministry of Sound has launched a six-strong range of headphones to celebrate its 20th anniversary. Promising "crisp beats and warm, punchy bass", the range of headphones is produced in tandem with Exspect, a technology accessories company. The range features in-ear and on-ear models, and a set with an inline mic for using with mobile phones. The MOS006 on-ear range of headphones boast two 50mm drivers, come in a range of four colours and come with an anti-tangle cable. The headphones cost £40. For £10 less the MOS005 headphones have a slighter, lightweight headband and can be folded away for added portability. Available in six colours, the MOS005 cans are £30. 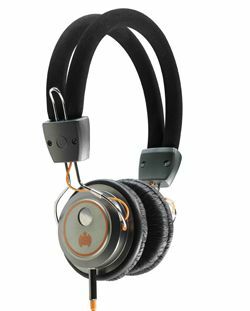 And for £20, you can pick up the MOS004 headphones, with slightly smaller 40mm drivers but still a choice of six colours. Three pairs of in-ears complete the range: the MOS001, MOS003 and the inline-mic-sporting MOS101 earphones. At £15, the MOS001 earphones are the most affordable in the range, have 9mm drivers and come in a range of six colours. The MS101 hands-free range are limited to just two colours, black and metallic, and come with a mic and choice of buds. For £30, the MOS003 9mm in-ear headphones are the 'top of the range' and come in a choice of three colours and again with a selection of buds and an anti-tangle cable. The Ministry of Sound brand started life as a club but has since put its name to record labels, radio stations and branded electronics.